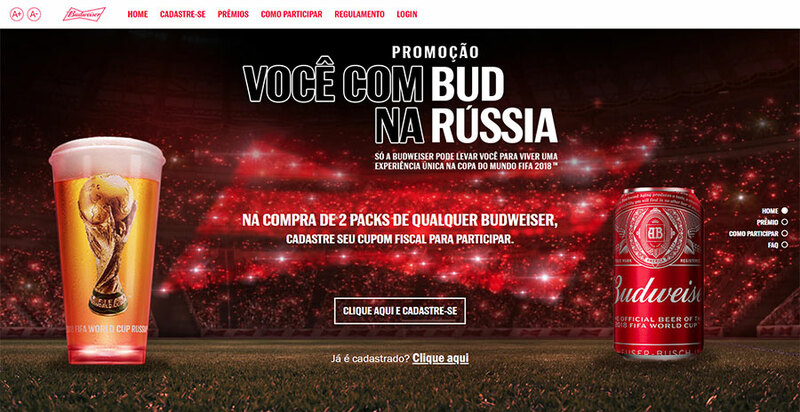 Together with agency Score Group, Webcore developed a website for Budweiser’s marketing campaign “Você com Bud na Rússia” (Together with Bud in Russia), for the 2018 FIFA World Cup Russia™. The campaign was a raffle of 2 trips, with a travelling companion, to watch the Brazil x Serbia match in Russia. 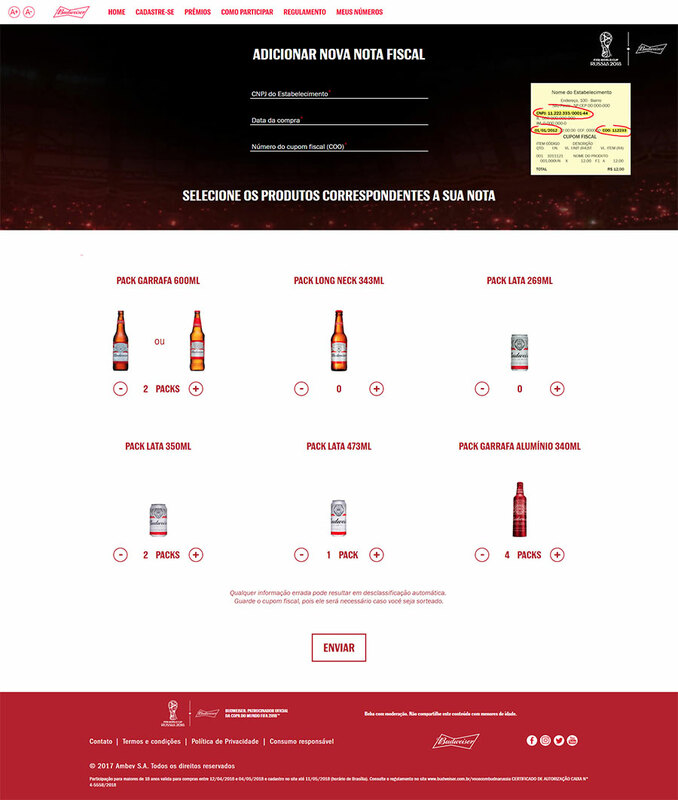 In order to participate the user had to sign up at the page and buy Budweiser products at any store. 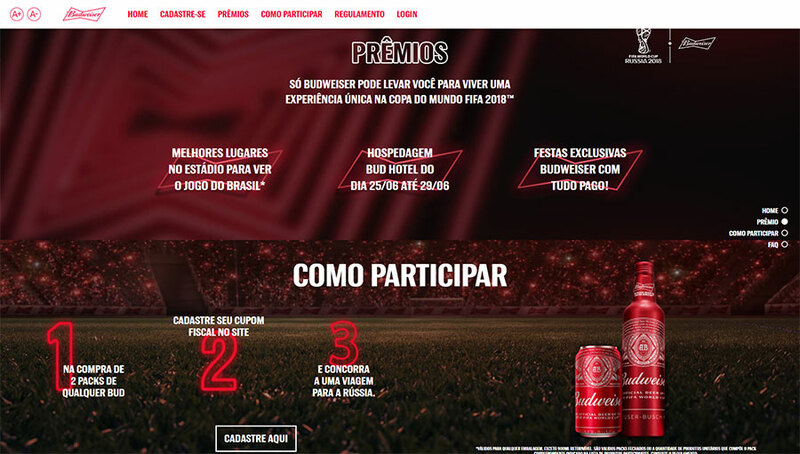 For each 2 packs of products bought the user could register the purchase invoice on the website and receive a lottery number.